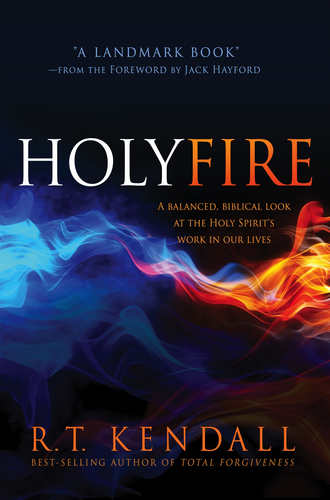 R. T. Kendall, Holy Fire: A Balanced, Biblical Look at the Holy Spirit’s Work in Our Lives (Lake Mary: Charisma House, 2014), 256 pages, ISBN 9781621366041. R.T. Kendall (DPhil, Oxford University) is no stranger to controversy. 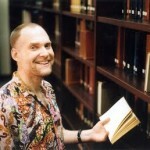 Raised in the Wesleyan-Arminian tradition he converted to Calvinism as an adult. 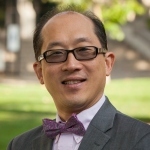 Yet his scholarship has challenged contemporary Calvinist interpretations of John Calvin’s original thought and his own ministry has been characterized by openness to charismatic gifts. Kendall’s credibility and giftedness have been clearly established in the crucible of public ministry. For twenty-five years R.T. Kendall was pastor of London’s prestigious Westminster Chapel. 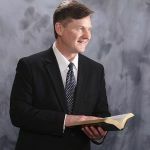 He has written more than fifty-five books, including Total Forgiveness, The Sensitivity of the Spirit, Grace, and The Anointing: Yesterday, Today, and Forever. 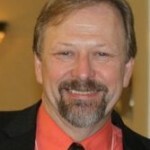 He has appeared frequently on Christian television programming. Born (1935) in Ashland, Kentucky, Kendall currently resides in Hendersonville, Tennessee where, although retired, he is president of R.T. Kendall Ministries and continues to contribute to Christian publications and programs. 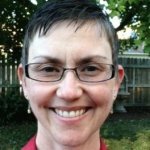 Like Holy Fire, Kendall’s website (http://rtkendallministries.com) decries the “silent divorce” that has occurred in Christianity over the centuries between Word and Spirit. He suggests the need of the day is for a balanced approach to Christian belief and practice that integrates both solid commitment to the truth of Scripture and contemporary sensitivity to the power of the Holy Spirit. Readers will certainly see these twin dynamics amply demonstrated in Holy Fire. Further, as Kendall’s open letter to John MacArthur, “Dear Dr. MacArthur,” clearly indicates, Holy Fire was written as a response to MacArthur’s book on Strange Fire. (As a matter of fact, it was written by request from Charisma House publishers.) It is impossible to appreciate Kendall’s arguments in Holy Fire without some awareness of this dynamic. Theologically MacArthur is a cessationist, one who believes spiritual gifts such as divine healing, prophecy, speaking in tongues, and so on, ceased after the apostolic age. His Strange Fire book, based on an earlier conference by the same name, aggressively attacks those of the continuationist view. Theologically, Kendall is a continuationist. Continuationists believe that the Holy Spirit continues to equip believers today for Christian service with spiritual gifts, including but not limited to gifts such as divine healing, prophecy, and speaking in tongues. Continuationists are often known as Pentecostal (Acts 2:1-4) and/or Charismatic (1 Co 12-14) Christians. In short, MacArthur’s Strange Fire is mostly a diatribe against the beliefs and practices of modern Pentecostal and Charismatic Christians while Holy Fire comes to their defense. Interestingly enough, both Kendall and MacArthur are from the Reformed (i.e. Calvinist) branch of Christianity. In his “Strange Fire” conference, MacArthur criticizes other prominent Calvinists (e.g. John Piper, Wayne Grudem, and Kendall) known for their contemporary acceptance of and openness to spiritual gifts. (See John Piper’s response at http://www.christianpost.com/news/john-piper-talks-john-macarthurs-strange-fire-conference-pursuing-gifts-of-prophecy-and-speaking-in-tongues-109022/.) Although likely many Pentecostals and Charismatics might take exception to MacArthur’s conference and book, Kendall’s response is particularly noteworthy as a Reformed Charismatic work. Thus there are two movements occurring in the middle of this debate, including, perhaps especially, in Kendall’s Holy Fire. The main move addresses questions of whether spiritual gifts or charismata continue to be authentically operative and relevant for contemporary Christians or are they really only appendix-like relics of ancient history. The second move gets at the heart of an internal debate about Reformed Charismatic Christianity exploring whether “Reformed” and “Charismatic” are mutually exclusive concepts.